Coenzyme Q10 (also known as ubiquinone, coenzyme Q, CoQ10) is a 1,4-benzoquinone, where Q refers to the quinone chemical group, and 10 refers to the number of isoprenyl subunits. Coenzyme Q10 is also a powerful endogenous antioxidant. a low level of ubiquinone in the plasma of patients with a chronic heart failure has been considered a predictor factor of increased mortality [Molyneux et al, 2008]. Positive, significant correlations were found between the LDL-chol/CoQ10 ratio and the total-chol/HDL-chol ratio, which is usually considered a risk factor for atherosclerosis. Six months of enforced and voluntary endurance training of young female Wistar rats resulted in significant decreases of body weight and gastrocnemius muscle wet weight and protein content, and increases in heart weight and protein content, and liver protein content. The coenzyme Q and cytochrome c concentrations of cardiac, gastrocnemius, and deep red region of the vastus lateralis muscles were increased, while small or nonsignificant trends toward increases in cytochrome c and coenzyme Q were seen in kidney, brain, lung, liver, internal + external oblique muscles, and the superficial white region of the vastus lateralis muscle. These results are discussed with regard to several roles for coenzyme Q in cellular function. The endogenous biosynthesis of the quinone nucleus of coenzyme Q10 (CoQ10) from tyrosine is dependent on adequate vitamin B6 nutriture. Lowered blood and tissue levels of CoQ10 have been observed in a number of clinical conditions. 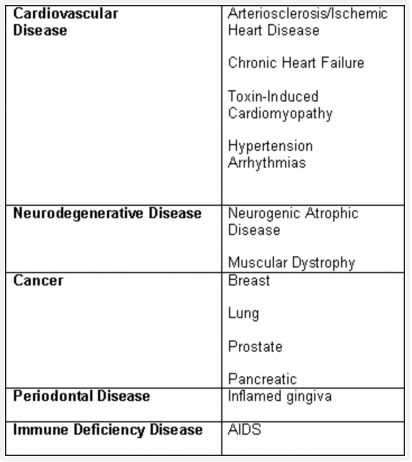 Many of these clinical conditions are most prevalent among the elderly. Kalen et al. have shown that blood levels of CoQ10 decline with age. Similarly, Kant et al. have shown that indicators of vitamin B6 status also decline with age. Blood samples were collected from 29 patients who were not currently being supplemented with either CoQ10 or vitamin B6. Mean CoQ10 concentrations was 1.1 +/- 0.3 micrograms/ml of blood. Mean specific activities of EGOT was 0.30 +/- 0.13 mumol pyruvate/hr/10(8) erythrocytes and the mean percent saturation of EGOT with PLP was 78.2 +/- 13.9%. Means for all parameters were within normal ranges. Strong positive correlation was found between CoQ10 and the specific activity of EGOT (r = 0.5787, p < 0.001) and between CoQ10 and the percent saturation of EGOT with PLP (r = 0.4174, p < 0.024). Studies are currently in progress to determine the effect of supplementation with vitamin B6 of blood CoQ10 levels. It appears prudent to recommend that patients receiving supplemental CoQ10 be concurrently supplemented with vitamin B6 to provide for better endogenous synthesis of CoQ10 along with the exogenous CoQ10.